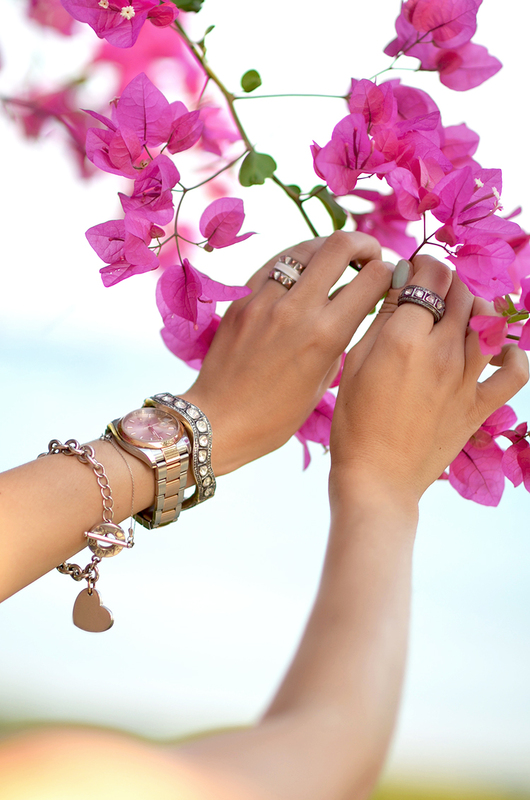 Floral is the most spring/summer appropriate pattern and also the most cheerful one! Recently I discovered my wardrobe's severe lack of adequate floral statement pieces and set out to find something that would go nicely with white, black and well.. everything in between. 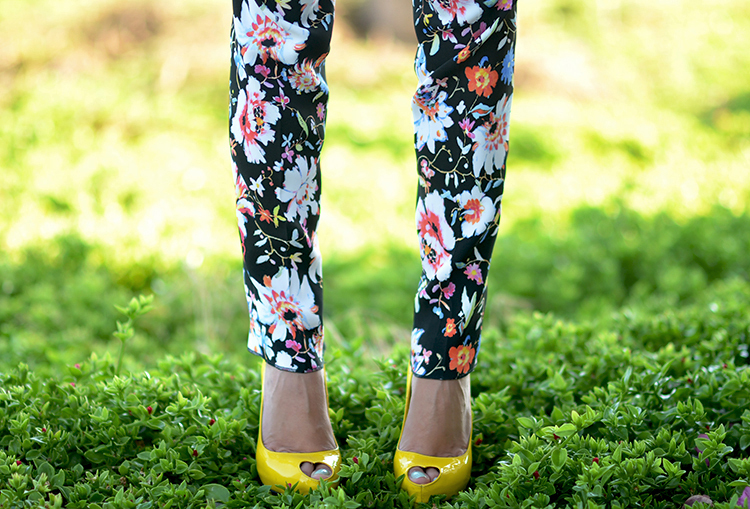 Enter Etro and these semi-baggy floral pants, still available on Farfetch at a nice discount. Gorgeous shots and this outfit has definitely inspired me to do something similar!! 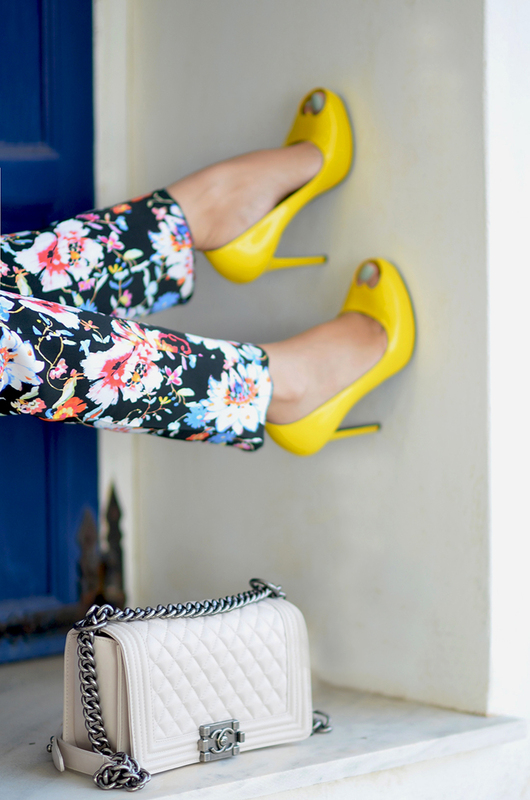 Way to rock those yellow heels! Love the cut on the back of your shirt! Great outfit! 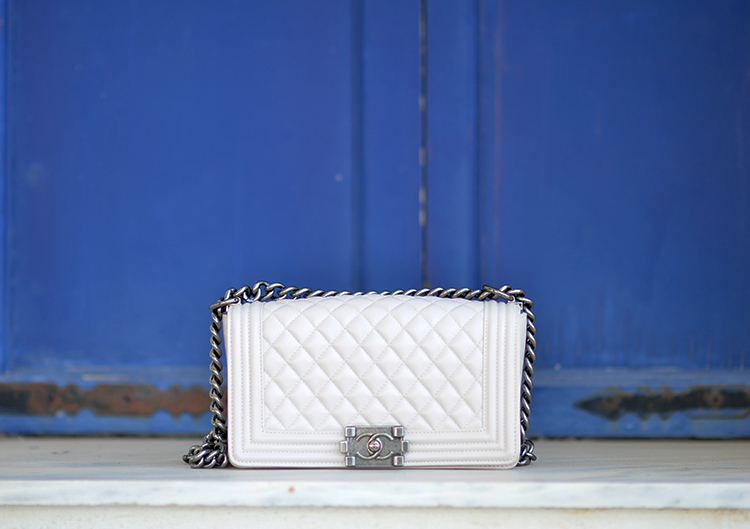 So cute and chic!